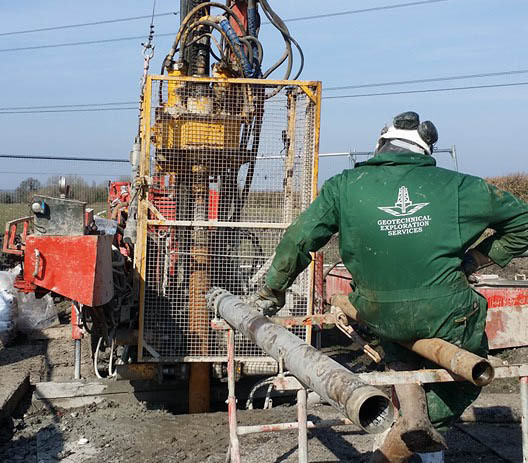 Drilling operations continue into the final stages of the work package for HS2 Aylesbury. Work has progressed extremely well over the last four weeks producing the client with superb core quality and recovery. However, the project has not been all plain sailing and free of any difficulties. Drilcorp started the project on the Northern boundary of the site using a Geobor S wireline coring system with water flush. Drilcorp’s management team prepared the drilling rigs and ancillary equipment to allow swift efficient movement across agricultural land. Each rig was capable of towing trailer mounted pressure pumps to reduce down time and permit efficient movement between drilling locations with minimal surface damage even in the adverse weather conditions encountered. Below zero temperatures meant that all pumps and hoses needed to be drained every night to eliminate damage and prevent potentially serious downtime to the project. As Drilcorp advanced to the South of the site, a geological change from stiff Gollum Clays to highly permeable fractured Upper Chalk was encountered. The water flush circulation method of drilling proved impossible in the Chalk strata due to circulation losses combined with limited water supplies. Drilcorp quickly changed their drilling technique from water flush to air mist flush. Three of Drilcorp’s bespoke T,MAC (Track Mounted Air Compressors) were mobilised to site to replace the trailer mounted pressure pumps. The compressors travelled across the site causing little damage due to their low ground pressure tracks. Drilcorp’s main concerns in switching from water flush to air mist flush was that air can be more aggressive and damaging to the relatively soft formations. Alternative core bits and catcher springs were selected to suit the ground conditions and the highly experienced field engineers commenced drilling the first boreholes with the new technique. 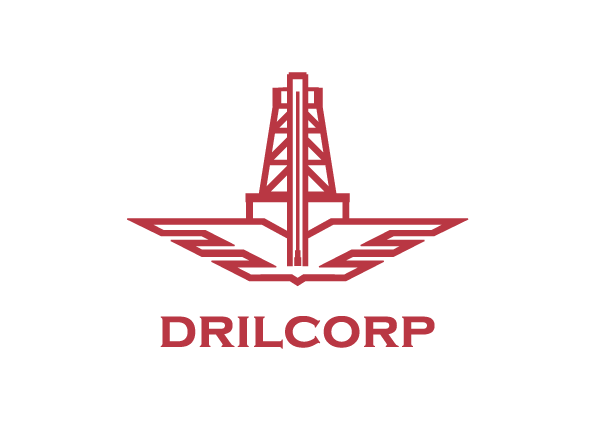 Drilcorp’s trouble shooting team was on standby to further advice if the standard of the class A core samples was compromised. Fortunately the new techniques worked extremely well and actually improved production. Drilcorp are currently working towards the end of their work package and the client is delighted with the high standard of workmanship and samples that Drilcorp has produced. Drilcorp have now joined the FORS Scheme promoting better-working practices and 16 employees are on the constructing better health (CBH) System giving the company ample resources for any future high-profile contracts. Drilcorp are looking forward to future work with HS2. TAGS: Drilling Companies UK, HS2, Geotechnical engineering services, borehole engineering company.